http://www.thisishorror.co.uk/news-round-up-week-ending-21-october-2016/ Resident Evil gets a final chapter. http://dayswiththeundead.com/2016/10/26/howtosurvivethezombieapocalypse-alternateuses-toothpaste/ Grab that toothpaste off the store shelves!! http://terribleminds.com/ramble/2016/10/26/why-is-horror-so-anathema-in-publishing/ It shouldn’t be, it shouldn’t be at all!! https://killzoneblog.com/2016/10/how-long-before-robots-get-into-self-publishing.html Will AI take over the world? https://legendsofwindemere.com/2016/10/22/ravens-game-part-22-horror-halloween-thriller/ And the game continues. https://nailyournovel.wordpress.com/2016/10/23/how-do-you-discover-the-books-you-want-to-buy-some-thoughts-about-book-marketing/ Where do you find the books you read? Me? Friends, blogs, and the little reviews my local library puts out. Oh, and Netgalley. https://janefriedman.com/use-reddit-market-books-carefully/ A new place to promote? https://querytracker.blogspot.com/2016/10/filler-words-grammar-nerds-and-fun-with.html What needs fixed while editing. https://warriorwriters.wordpress.com/2016/10/26/13-reasons-authors-are-mistaken-for-serial-killers/ Are you on the F.B.I. most wanted list? http://blog.janicehardy.com/2016/10/5-ways-to-restart-your-writing-after.html Start writing and work through the pain. This works for me. I go back a page or two and it gets me motivated to go forward. https://phsolomon.com/2016/10/28/emotional-beats-ways-to-portray-indifference/ The lack of physical reaction, how to describe. 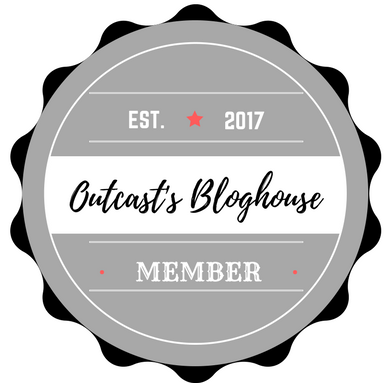 Posted in Anthologies/Novellas, Craft, Dystopian, fantasy, horror, Indie, MG & YA, Mystery/Thrillers, Uncategorized, Urban Fantasy. Thanks, Traci. I am probably dense, but I’ve been wondering something. What does 3s & 5s mean? I’ve been wondering for months and decided to break down and ask. I usually do three links of say mysteries/thrillers and then three of each genre. The five links are for the craft ones. Lately, however, I’ve been failing to get all the links in. Sometimes they aren’t enough, sometimes I run out of time before a post. Sorry, I had you confused. All I could come up with was maybe it had to do with the Dewey Decimal System. Shows how far my mind has slipped. Ha ha. Lol. The Dewey Decimal System and I don’t get along.